Invisible Citings is a collaborative project by Elaine Reichek and Jeanne Silverthorne—two artists who happen to be longtime friends and avid readers. 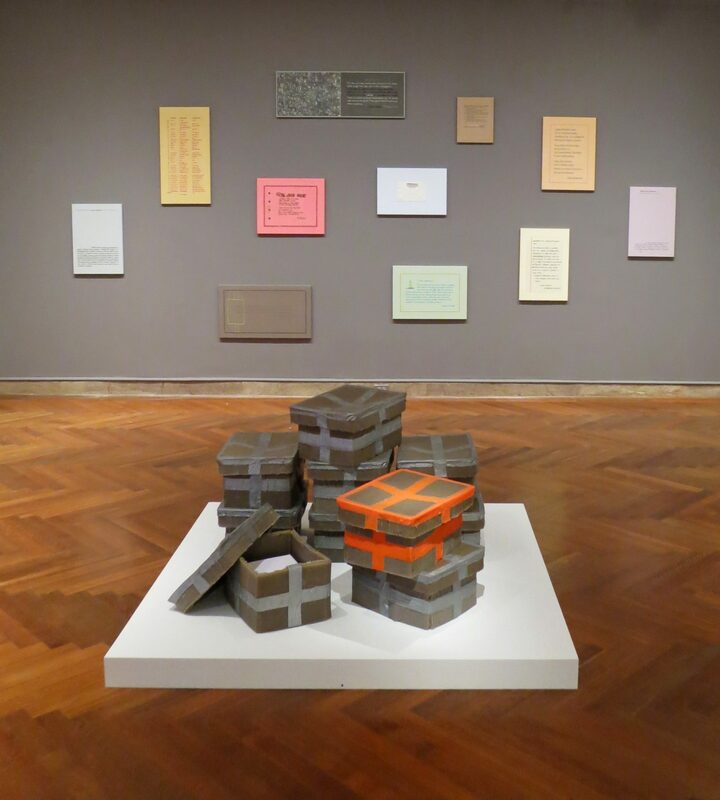 This exhibition joins Reichek’s embroidery and Silverthorne’s sculpture with literature in an exploration of their shared interest in text and notions of invisibility. As the so-called Gutenberg age gives way to glowing screens, this exhibition celebrates writing as material and medium and looks to the printed page to consider invisibility. Compiling and reading diverse texts and then painstakingly translating them into compelling works of art, the artists address themes such as the legible and obscured, word and image, illumination and luminescence, archiving and discarding.